Harley-Davidson is gearing up to launch their new motorcycle – the 1200 Custom, this month. The American manufacturer will launch this new cruiser for the Indian market on January 28. 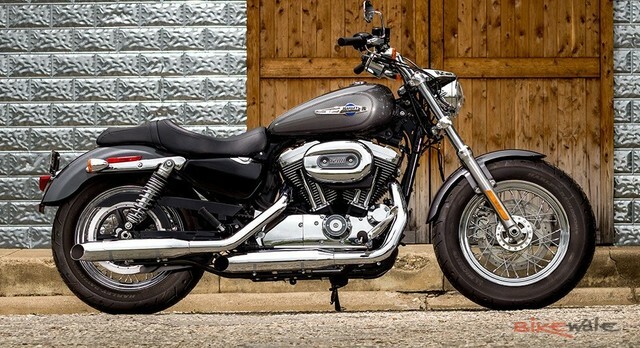 We were the first ones to write about the SuperLow being discontinued from the Indian market along with the Fat Boy Special. And now it all makes sense. The 1200 Custom will sit in the Sportster family between the Iron 883 and the Forty-Eight. The 1200 Custom is powered by a 1200cc air-cooled V-twin engine. This mill produces close to 61bhp at 5800rpm and peak torque of 68Nm at 4100rpm. This engine is mated to a five-speed gearbox that transfers power to the rear wheel via a chain drive. In terms of design, the 1200 Custom looks quite close to the discontinued SuperLow. But the overall aesthetics is more modern and feels good to look at. This is the reason why we think, the American manufacturer is taking this step to launch the bike in India - to fill the place. Plus, it’s a 1200cc engine, so the more the merrier. Harley-Davidson will sell this bike as a completely-knocked-down (CKD) unit in order to have a competitive price. We’re expecting the price to be close to Rs 8.5 lakh (ex-showroom Delhi).